It's been really tough to get Jare comfortable with his car seat. He sits pretty well in there when he was younger, but as he grew, he dislikes his car seat. 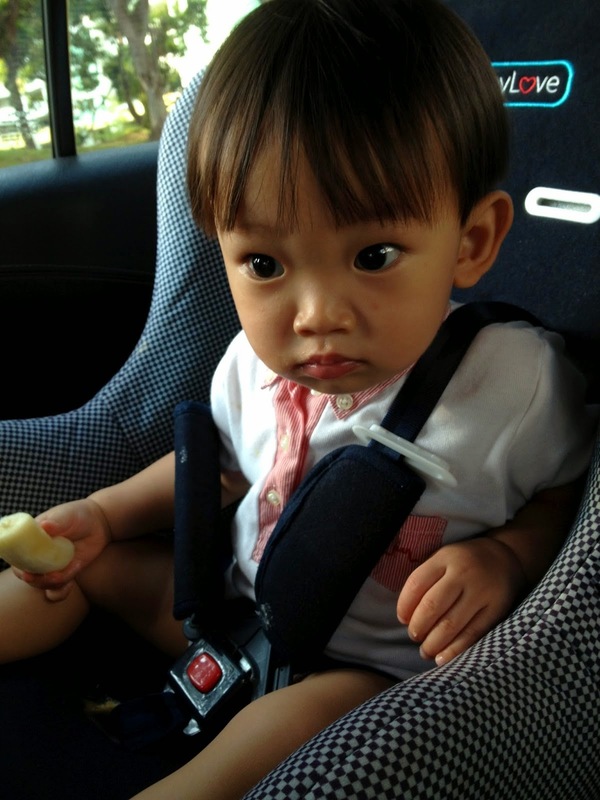 My wake up call came when mummies XH and Ang shared the importance of car seat to me. Not as if I didn't know, just that they inspired me to do something about my woes on Jare and car seat. Belting up has saved many lives in accidents and let's not even risk a moment of it. Nobody can predict accidents, it happens unexpectedly (touching all woods), but we can always choose to lessen the damage. 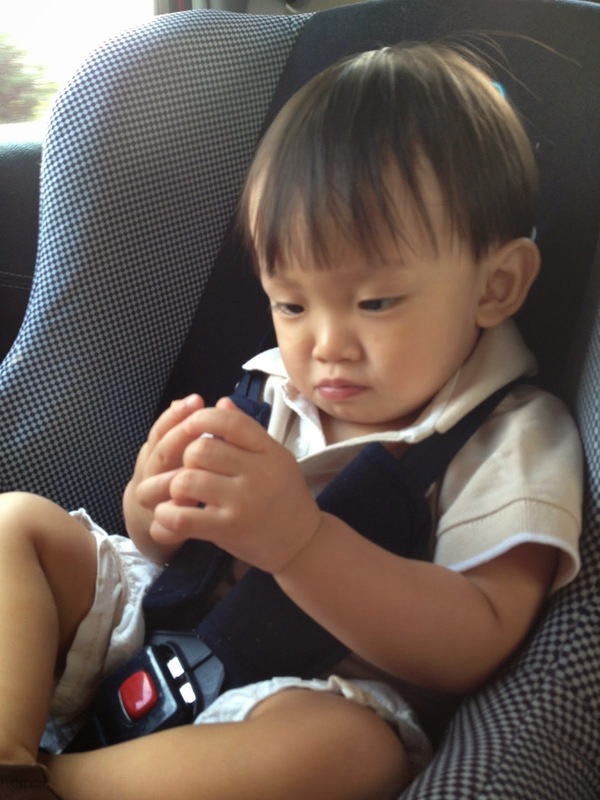 I've to confess, during car rides, I give in pretty quick when Jare starts wailing badly. I'll then have him on my laps. This habitual act has given Jare the signal that crying equates to being freed from car seat. 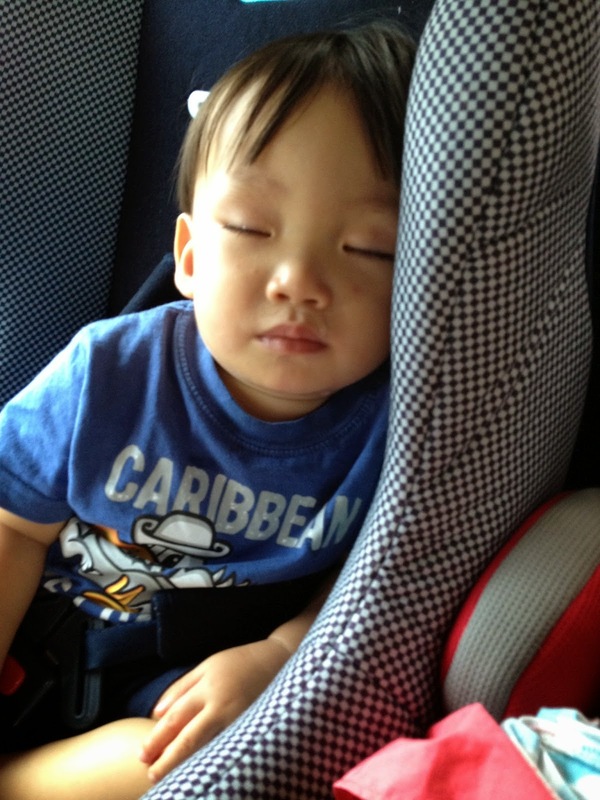 This explained why I had car seat woes. The 'rescue mission' is always possible because we usually travel in fours - Daddy, Mummy, Big sis and Little bro. 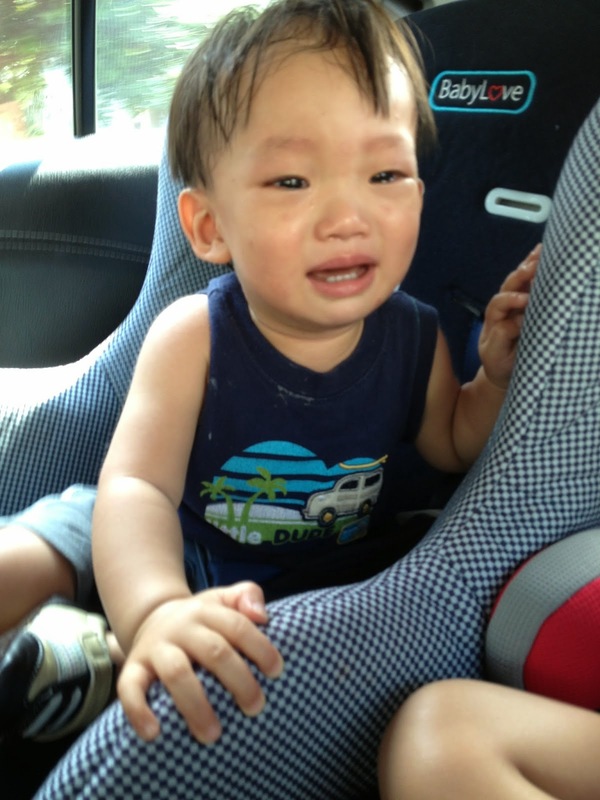 So when he cries, I can rescue him, while driver continues. My training came during our zoo trip on Monday. I hijacked my man's car, sent him to work, sent Jazz to school and then off to zoo. This long long journey, including the massive jam on CTE, gave me a good 1.5hrs of car ride, with Jare on the car seat, all the way! What a day to begin my 'love car seat' project. Yet, the best time to begin this project is when it's me alone with the kids. It forces me to stay firm and ignore those pleas. I had a tough and stressful time driving that morning. 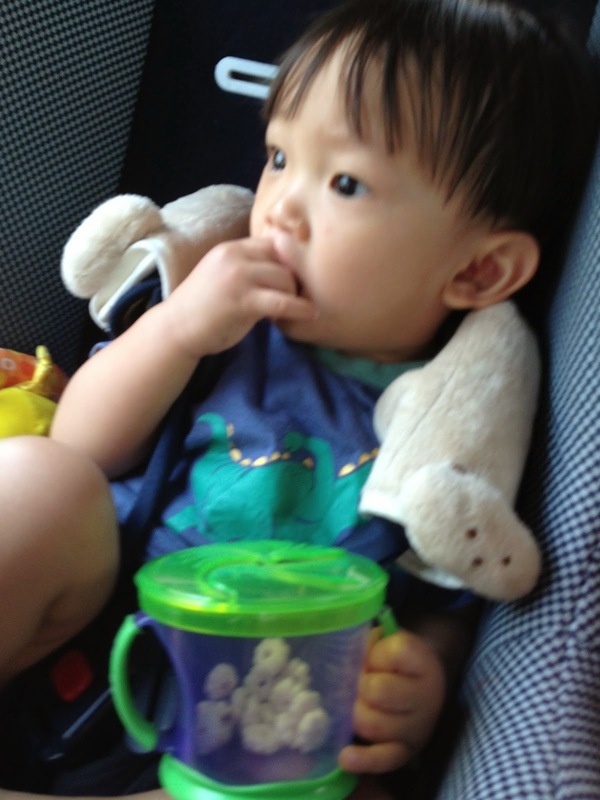 He cried 20mins straight, stopped and continued and repeated the cycle until we arrived at destination. Some of my tricks worked, some didn't. Especially the initial 20mins, nothing worked! 1. Ignore - This is one most difficult to overcome, yet the key point to success. I know how this feels to watch your child cry, and stay helpless. It's heart aching, definitely. Jare cried till he sounded like he had sore throat and as if he needs to throw up anytime. Still, you have to see through your goal. Begin with short journey drives then venture further. Positively, it really is alright to let your child cry. I haven't seen any child being hospitalised for crying too long. We live on a small island, one end to the other is at most an hour. 2. Snacks - Jare loves food, but in deep crying mode, this doesn't work. Still, you never know when this entices. Prepare snacks in a snack catcher. It's convenient and anti spill. 3. Toys and books - It's always a bonus to have some toys and books in the car. Sometimes, to a child, even the non-toy items can keep him occupied. It's saviour even if it's a minute of silence. I used my man's key pouch and that kept him silent for 5 minutes. At times, a toy or reading a book keeps him quiet. Reading in a moving car isn't good for eyes, focus on pictures instead. 4. Music - For a week, I've been playing children songs. So much so that I'm missing my class 95. Jazz wants those songs each time she's in the car. When Jare's in the mood, he sways to the songs. 5. Distraction - Try asking him if he's sees any birds or planes out there. Buses, trucks, lorries and cars too. At some points of time, Jare stopped in midst of crying to point out birds to me. Then ask how many he saw etc. Engage in conversations. 6. Look away - Once he's settled, avoid eye contact. Once you gaze at him, he'll try his luck again. 7. Sibling - If they have siblings, put them all to the back seat. Entertaining each other helps. Jazz helps alot in entertaining his little bro, with squabbles at times though. Whatever that works. Give these a try if you've car seat woes. I had a hard time, but a week of everyday work showed results. I'm really happy to have overcome these woes. I'm no more worried about car journeys. Stay firm and determine. Let's all stay safe on road. Car seat Project - Success!